due to sophisticated lucite atomiser for baffle free mist generation. These cabinets perform both standard salt spray and cyclic Prohesion® functions independently, an ideal solution when space is at a premium and test requirements do not justify separate test cabinets for each function. Developed to carry out all standard salt spray and high temperature CASS tests typically employed when corrosion testing chrome plating on steel and plastic. This variant operates as a standard salt spray cabinet but with the added benefit that it can be switched on to operate as a humidity cabinet. When in the salt spray mode all given standards can be achieved. 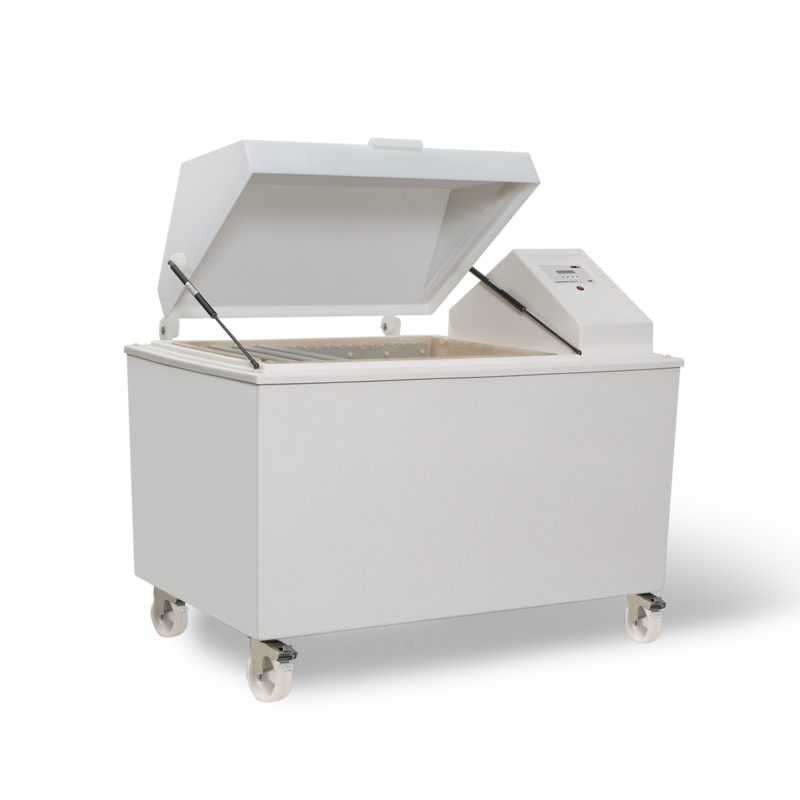 In humidity mode the cabinet will operate between 30˚C and 80˚C with a constant RH of 95-100% saturation. Prohesion® cabinets, originally developed by C&W, simulate natural weathering and provide a realistic method of accelerated corrosion testing for heavy duty industrial, marine and structural steel coatings.